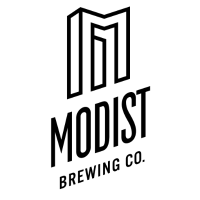 At Modist, our aim is to modify beer and how it is perceived by defying rules and expectations. We don’t abide by established style guidelines and refuse to bend to preconceived notions. We will push past traditional brewing by embracing creativity and unconstrained experimentation, taking an innovative approach to ingredients and techniques in order to harness raw inspiration and create a new beer experience.